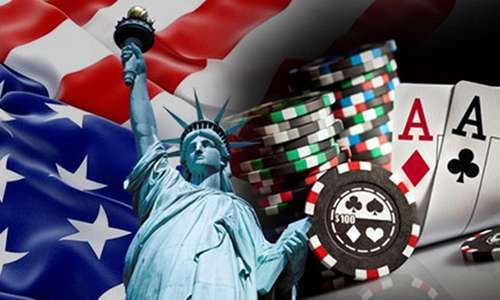 New York legislators will continue to consider the regulation of online poker, with the State’s Senate poised to consider State Senator John Bonacic’s Senate Bill S5302B on Tuesday of this coming week. 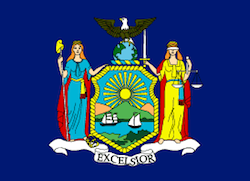 The Bonacic bill’s consideration comes just days after a separate but related measure was introduced in the New York State Assembly by Rep. Gary Pretlow just a few days ago. Bonacic’s bill is one of six separate gambling measures scheduled for discussion on Tuesday before the NY State Senate’s Racing, Gaming and Wagering Committee. Bonacic, the chair of the racing committee, is the primary sponsor of four of the six bills currently under Senate consideration, meaning that if and when a bill is agreed upon by committee members, and assuming the same happens in the New York State Assembly, he’ll likely be able to move the bill forward to a full Senate vote. As with Bonacic’s previous measures, the bill includes a couple of important enhancements from the bill’s original 2013 inception. Perhaps the most important is the retention in S5302B of language which creates a specific exemption for online poker under New York’s existing (and highly onerous) “games of chance” gambling laws, which provide that any game with a significant element of chance and not specifically legalized otherwise constitutes illegal gambling in the state. 2. A CONTEST OF CHANCE IS DEFINED AS ANY CONTEST, GAME, GAMING SCHEME OR GAMING DEVICE IN WHICH THE OUTCOME DEPENDS IN A MATERIAL DEGREE UPON AN ELEMENT OF CHANCE, NOTWITHSTANDING THAT SKILL OF THE CONTESTANTS MAY ALSO BE A FACTOR THEREIN. THUS, GAMES OF CHANCE MAY INVOLVE SOME SKILL, BUT IN THOSE GAMES THE LEVEL OF SKILL DOES NOT DETERMINE THE OUTCOME REGARDLESS OF THE DEGREE OF SKILL EMPLOYED. The bill also lacks any “bad actor” provisions, which were in Bonacic’s initial 2013 bill but were removed from his subsequent revised bill last year, and remain absent from the latest version. Such provisions have been touted in various states’ by certain gambling interests as a way to prevent international online-poker giant PokerStars from seeking licensing. However, since Stars’ sale by its original owners to Canada’s Amaya Group, the calls for such Stars-blocking provisions have lessened in several states considering online-poker legalization. Bonacic’s bill is very typical in other ways to measures under consideration in other US states, including the establishment of an age-21 minimum, mandatory identity and location verification, and protective measures designed to reduce addictive gambling behaviors. The Assembly counterpart to Bonacic’s Senate bill is the new effort introduced by Rep. Pretlow, which contains the same basic elements as Bonacic’s measure. That includes the same word-for-word declaration regarding the “chance” argument as appears in Bonacic’s bill (above). No hearing has yet been scheduled for Pretlow’s A9049 measure, which received its mandatory reading upon creation and has since been moved to the New York State Assembly’s Committee on Racing and Wagering, which is part of the Assembly’s parallel path for the pro-online-poker measure. Should New York manage to legalize online poker in the near future, it would become the most populous US state yet to allow for legal online tables. Two of New York’s neighbors, New Jersey and Delaware allow online poker, while a third, Pennsylvania, is also considering the expansion.